Joining in this week for Ginny's Yarn Along. The white I rug I have been working on. I call it my tv rug project since it's too big to carry around it's my go to project when watching tv or sitting outside. When spring rolls in every I get the itch to embroider. I love seeing it come to life slowly on a blank cloth. It's my favorite needlework in the summer. 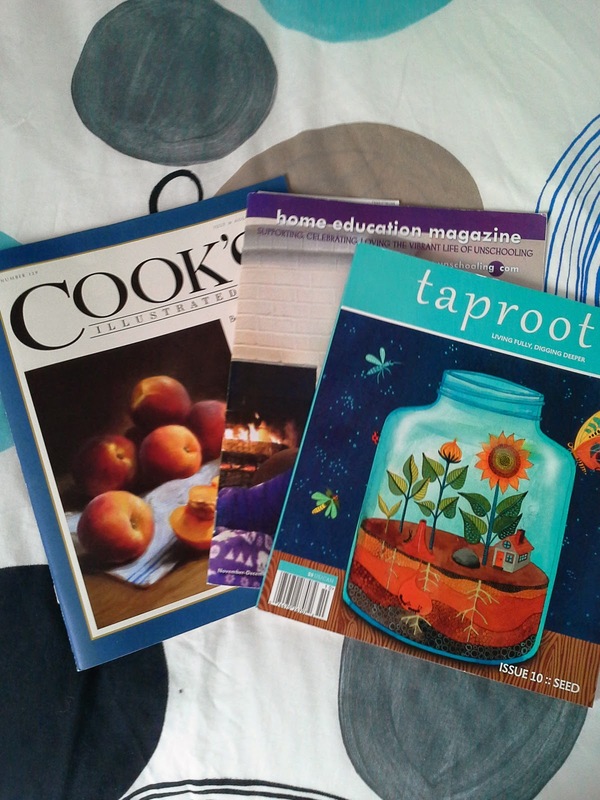 Still reading The Gilly Salt Sisters but these are the magazines of the month that go with me around the house for inspiration. Hope you are enjoying a good read. 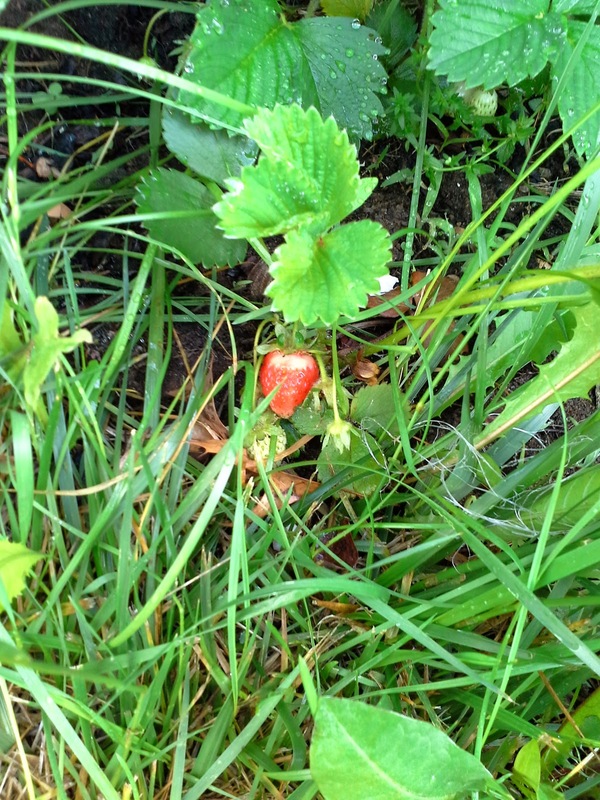 Recently one of my kids posed an interesting question about my blogging "Did you regret it?" We had a conversation about when things are put out in social media that they linger and are out there for the world to see forever. Things put out there can follow the individual years from now which could have negative consequences or close doors to opportunities from simply posting or commenting on social media . The example I had given was from personal experience. About 2 year ago posts from my blog were printed and used to suggest that I was overwhelmed. My blog was something I always enjoyed writing and following blogs was a source of creativity and inspiration. Seriously have you ever met a mother that never got tired and looked great all the time. Ahem. Because of that I took a break from blogging to minimize additional unwanted backlash on my parenting. It was hard to return and I considered just shutting it down. My answer to her question was no I didn't regret it I just lost my love for it and could not get back into it. I had no regrets I put thought into what I wrote and it was my creative outlet. At times I have missed it and I would snap a picture with intentions of posting and of course never did. After a this question was asked to me I thought well why not return to it. I don't have to post everyday just when inspiration strikes share something neat. Check on my favorite blogs when I need that burst of creativity. First up is change up change the blog colors/design. 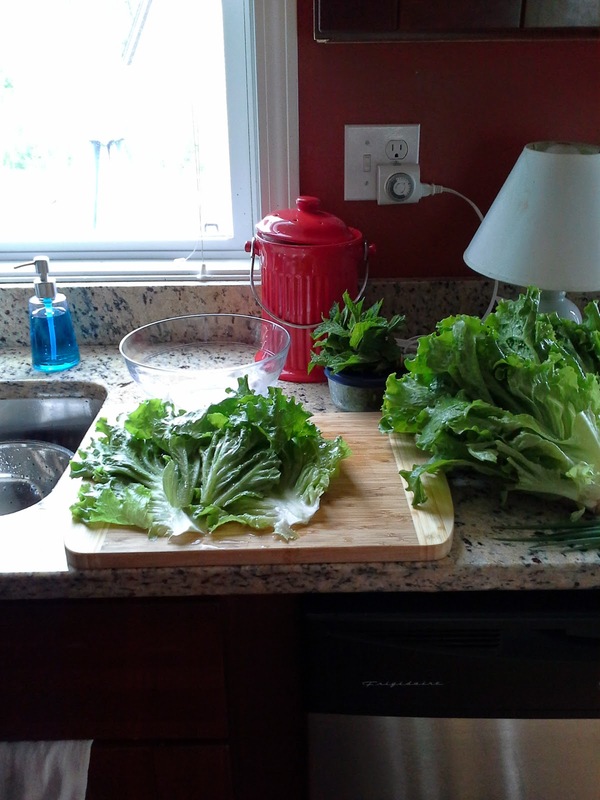 A little blog spring cleaning. I had a yummy salad to post yesterday. Oh and why is the picture on it's side that you have to turn your head to see the books? Ah well because whatever medium I use to bring in the picture it will NOT rotate. I gave up trying otherwise I thought I would never post again. I have feeling I'm going to be really enjoying that. Why did I wait so long? Summer is around the corner. So close that we are a week a way from the CSA starting up again, farmer's markets starting this weekend and various sightings of what's sprouting in the garden. I promised myself this year we would have better garden planning but I always end up with renegade plants in the garden that I did not plan on. 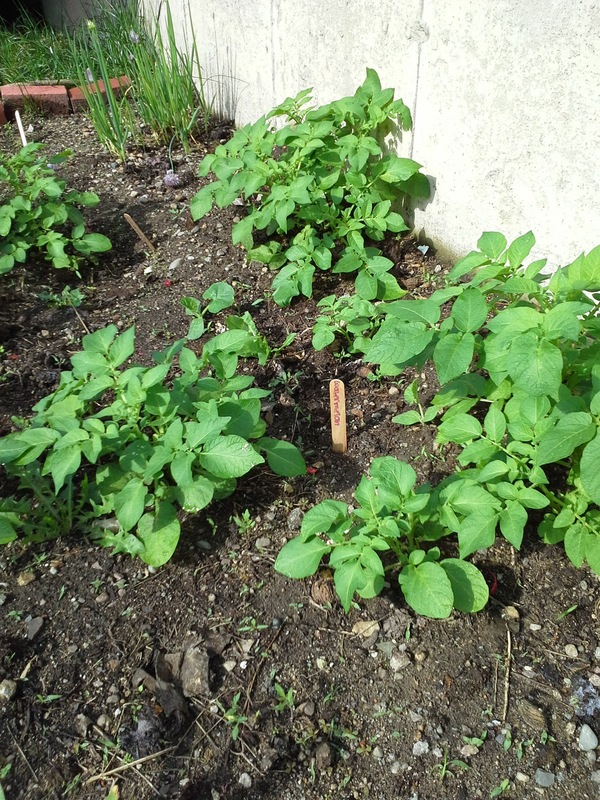 This is what happens when the compost gets poured into the garden we end up with a number of tomato plants, pumpkin vines take over the yard and this year there are beautiful unexpected potato plants to join the group. We did plant cucumbers, peppers and watermelon but no sign of them yet *sigh*. We can always count the herbs and scallions to be the first sign that there is more to come. 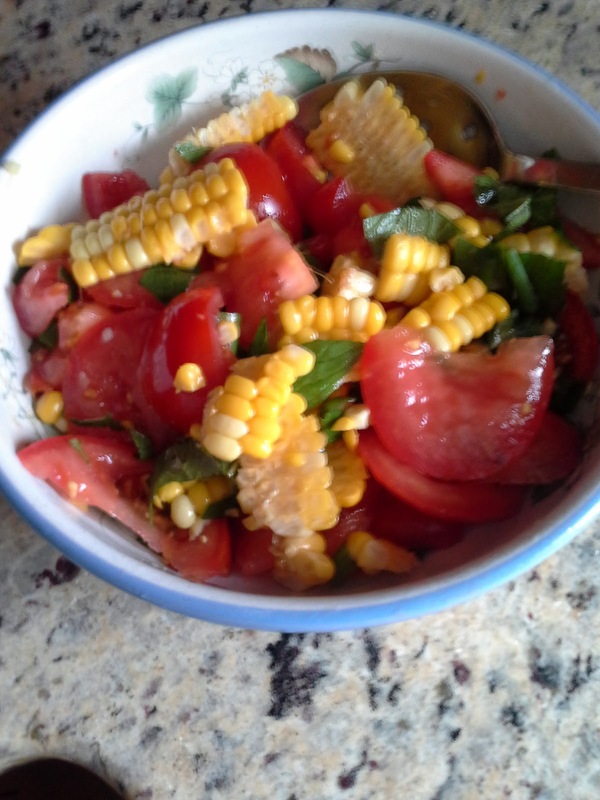 For quick salad today there was some leftover corn on the cob, tomatoes, mint leaves and scallions. 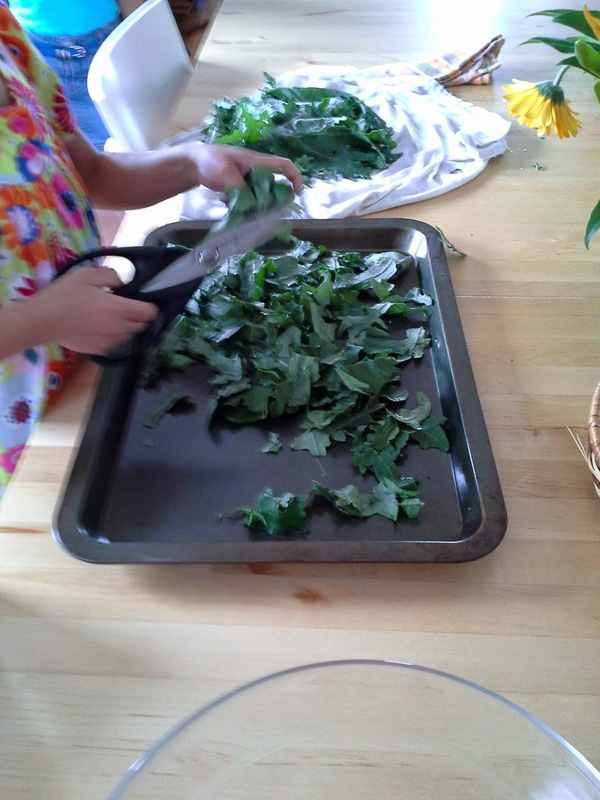 Season with a little salt and olive oil and a bright and cheery salad to go with our lunch. Good Morning Friends! Actually it's afternoon now. 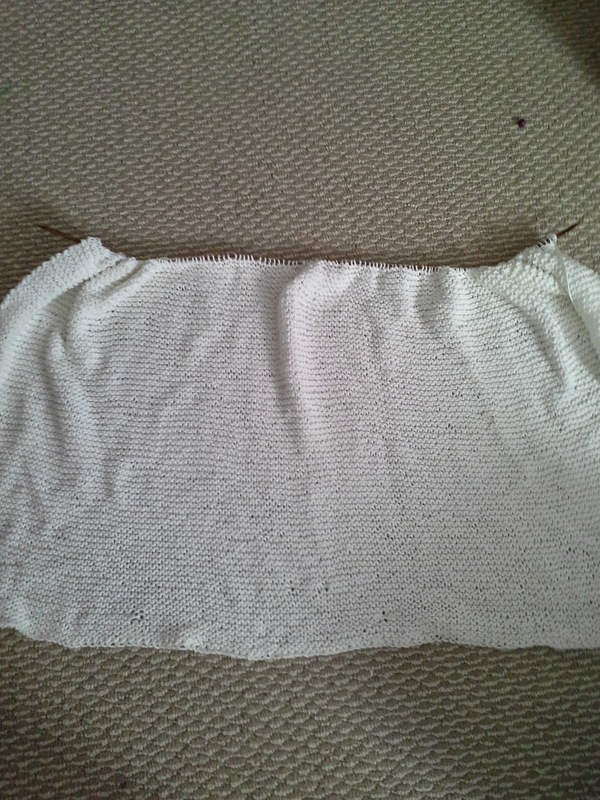 I finally have a finished project to show for the yarn along. 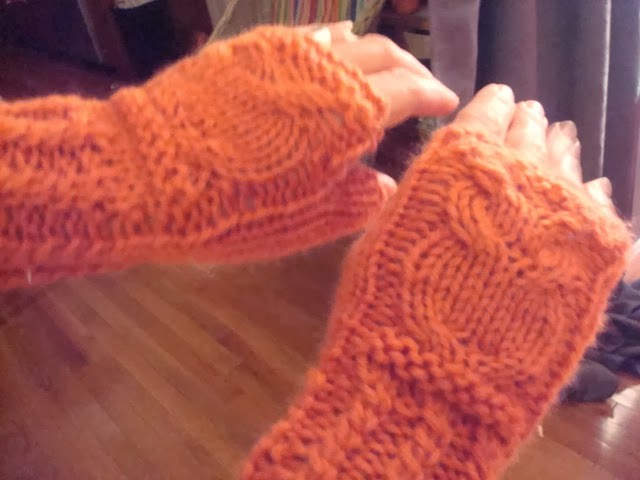 I started these fingerless gloves last winter and then put them down. A couple of weekends ago I picked them up and finished the left glove. The left is a little wonky but I love them anyway. I decided to not put buttons for the eyes because it wall draw attention to the obvious mistakes. The pattern was from a Mollie Makes magazine. I never get tired of this magazine. 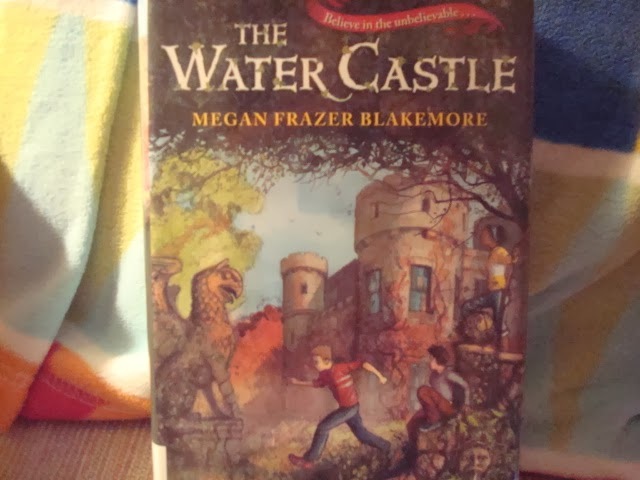 On the reading list, the older kids finished reading The Water Castle. I'm still continuing College Prep Homeschooling and jotting down notes to refer back to later. A couple of months ago I discovered audiobooks and playaways for the family. I love the playaways because they are easy to carry all that is needed are headphones and a battery and into my bag they go. It really helps pass the time doing chores, shoveling and waiting at activities. I'm listening to Summberland by Elin Hiderbrand right now. As much as I enjoy the playaways and audio books they don't replace books. They are handy to pass the time while doing laundry or when I can't sit and read. Hope you are enjoying a good read today. My thought back in December was to crochet snowflakes everyday from the 100 Snowflakes to Crochet I completed 6. They were enjoyable and easy to make and they are only about 3 rows of crocheting. So lets see 6 done 94 to go before next Christmas. What I keep in my activity bag wherever are these two books. The Supreme Macaroni Company is the third book in the a trilogy I have been waiting for about 2 years. It's an easygoing read but I don't love the cover the book it makes it look like a cheesy romance novel. 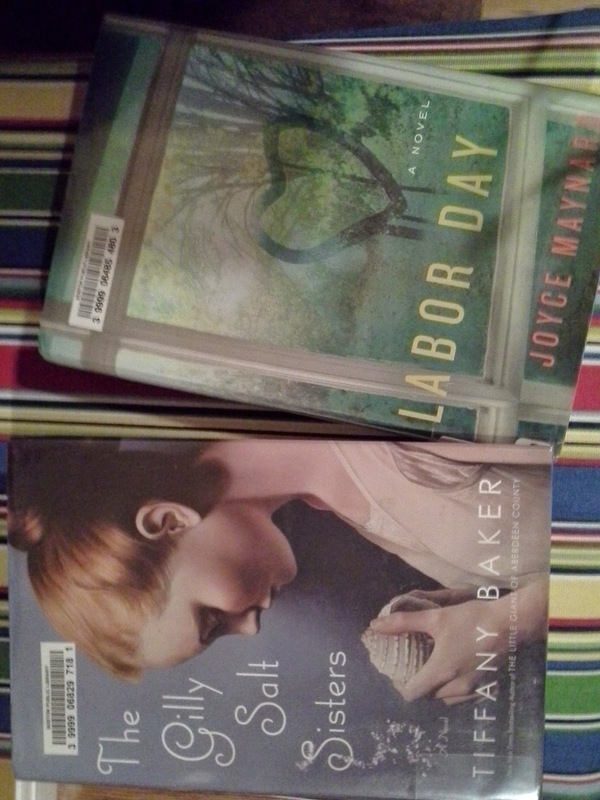 I picked up the College-Prep Homeschooling at the library and haven't been able to put it down. Some parts will come in handy for future reference. I have had these fingerless gloves in the works since last winter I'm thinking its time to finish them, so into the activity bag they go. A little later Friday morning. 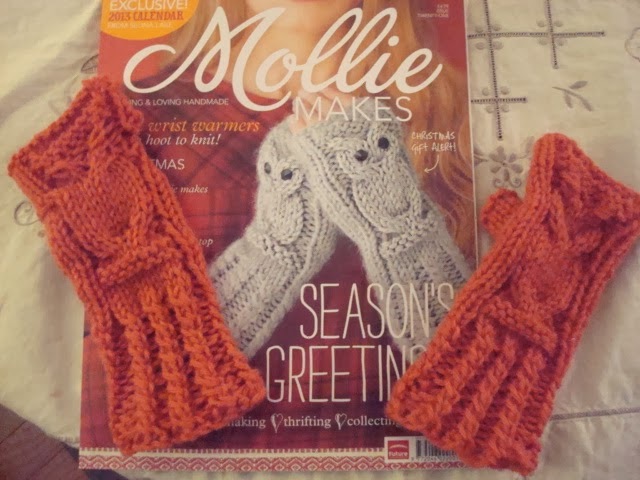 For the Yarn Along this week another Mollie Makes came in the mail recently. I have been catching up on some older issues of Real Simple. Does anyone else keep stacks of magazines and I mean a year or 2 worth of each magazine that you like? Love having them for inspiration or in the winter and summer between books. 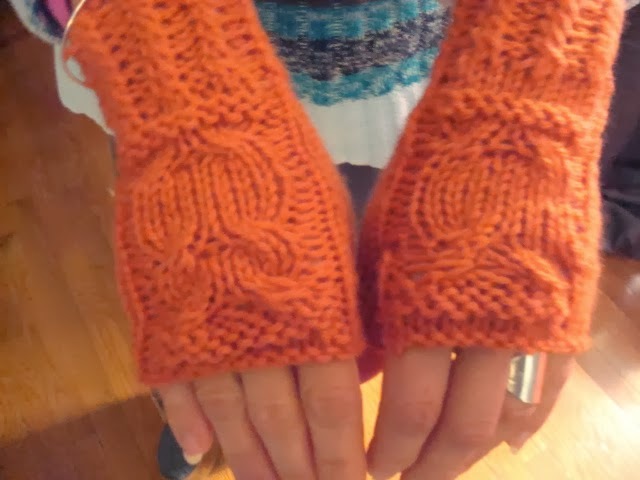 The owl wristwarmers are coming along. I'm hoping for the next yarn along I'll have them done. 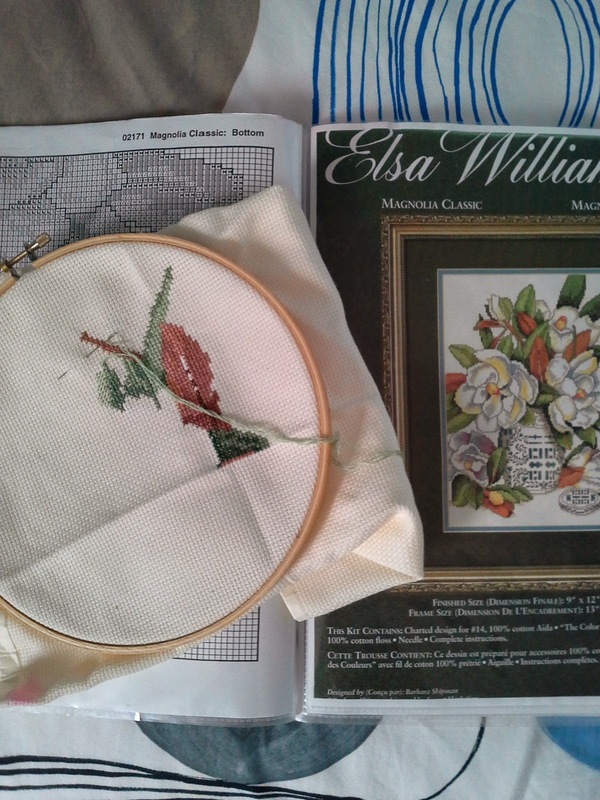 Hoping I'll hve a completed project in February. A mom on her own journey with 5 creative kids. Along the way homeschooling, crafting, upcycling furniture, needle work baking, cooking, reading, finagling recipes to make them allergy friendly. Finding the passion in things I love and passing them on to my kids. Hoping to pass along a little inspiration and creativity in this space.